The next Cars & Coffee Brisbane is on Saturday the 3rd of June. Feels like it has come around quick this time. We look forward to seeing you all in your rare, classic, vintage, historic, exotic or race vehicles. 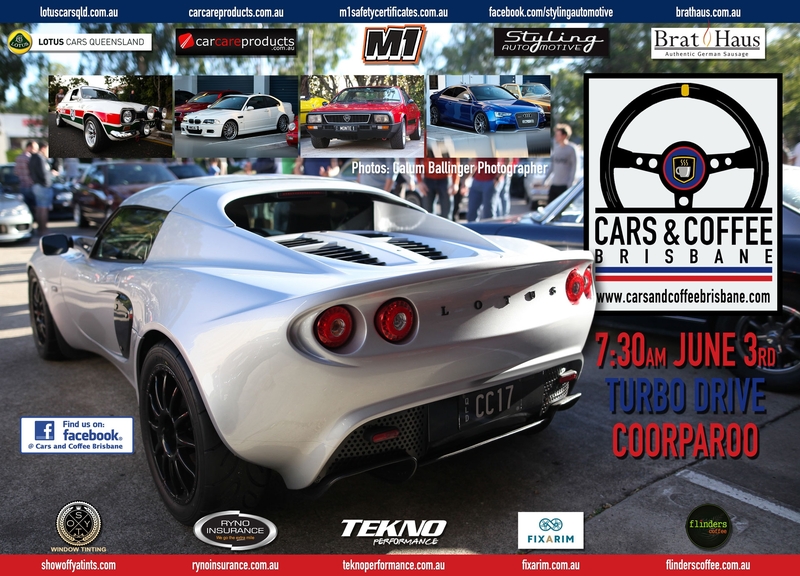 We would like to thank our sponsors M1 Safety Certificates, Show off ya Tints, Ryno Insurance Services Pty Ltd, Car Care Products,Tekno Performance, Flinders Coffee, Lotus Cars QLD, & Styling Automotive for their ongoing support. This month we also welcome Fixarim Pty Ltd & The Bratmobile to the family. They will be serving German sausage delights.